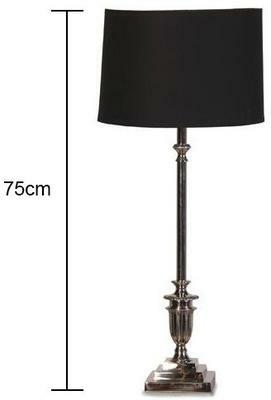 Slim and elegant, two words that best describe this Black Shaded Tall Chrome Table Lamp. The lamp features a tall, sophisticated stem made from polished steel. It has very minimal design touches so it doesn't detract from its overall beauty. Essentially, it has a lovely classic minimalist look. For the shade, it has a cylindrical shaped one with a black colour. This complements the lamp beautifully. Add this to your side table, console or even by your bedside, you won't regret having this in your home.